One of the true classics of American literature. Originally published in 1900, it was the first truly American fairy tale, as Baum crafted a wonderful fantasy, peopled with memorable characters — a cornfield scarecrow, Tin Woodman, and a humbug wizard. 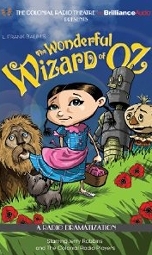 Follow the adventures of young Dorothy Gale and her dog, Toto, as their Kansas house is swept away by a cyclone and they find themselves in a strange land called Oz. Here she meets the Munchkins and joins the Scarecrow, the Tinman, and the Cowardly Lion on an unforgettable journey to the Emerald City. Tip, a young Gillikin boy, runs away from his cruel guardian, the wicked witch Mombi. He meets up with the Scarecrow, now ruler of the Emerald City, the Tin Woodman, many new friends, and an army of girls who want to overthrow the Scarecrow. 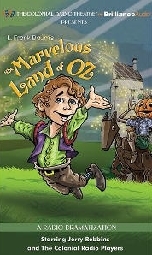 Before it's over, Tip finds out that he is part of a dark secret from Oz's past. 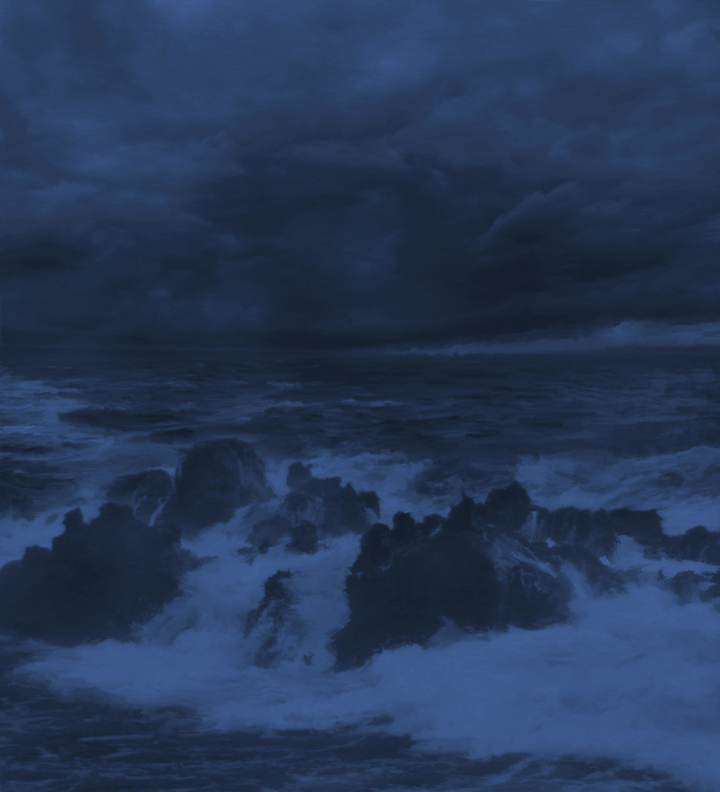 Dorothy Gale, on a voyage at sea, is tossed overboard during a storm. She is washed ashore at Ev, a country neighboring Oz, where she meets up with her old friends the Scarecrow, the Tin Woodman, and the Cowardly Lion. She also meets Ozma, the new Princess of Oz, who has come to Ev on a mission of her own, which will bring them all in contact with the nefarious Nome King. 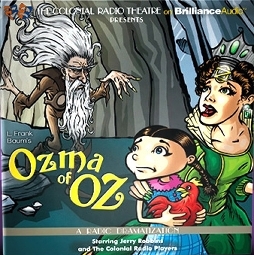 Looking for the road to Butterfield, Dorothy (Amy Strack), along with the Shaggy Man (Joseph Zamparelli Jr.), little Button-Bright (Evan Cole), and Polychrome, the rainbow’s daughter (Shonna McEachern), find themselves on the road to Oz, where they discover Ozma (Leigh Ann Price), is about to have a spectacular Birthday Party. On the way, they travel through the magical lands of Foxville, Dunkiton, and the Land of the evil, head-throwing Scoodlers. L. Frank Baum’s The Road To Oz, was the fifth book in the OZ series, first published in 1909, and is a truly wonderful adventure for the young, and the young at heart. 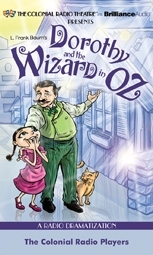 Dorothy Gale and her Uncle Henry and Aunt Em are coming to live in Oz permanently. 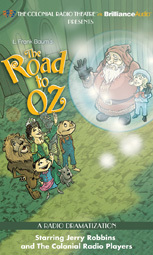 Dorothy then takes them on a tour of Oz, and during their journey they encounter King Kleaver with his Spoon Brigade and Miss Cuttenclip of the land of paper dolls. 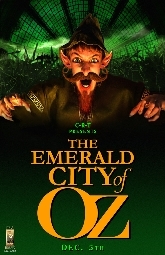 Meanwhile, the wicked Nome King has joined forces with the horrible Growleywogs, the terrifying Whimsies and the wicked Phanfasms in a plot to capture the Emerald City in this, the 6th OZ story by L. Frank Baum.